Street Performance USA - COMING SOON! From the leading online retailer of circle track parts and safety equipment PitStopUSA.com comes an all new enthusiast site StreetPerformanceUSA.com. Street Performance USA will feature a huge selection of the latest high performance parts for cars and trucks at the Low Everyday Prices that has made PitStopUSA.com a favorite among circle track racers for a decade. World of Outlaws Sprint Car Series Official World of Outlaws Sprint Car Series website. Get all the latest news, results, driver profiles, schedules and more. World of Outlaws Late Model Series Official World of Outlaws Late Model Series website. Get all the latest news, results, driver profiles, schedules and more. WISSOTA Official website of WISSOTA Dirt Track Series with race coverage, standings, schedules and more. USARacing Pro Cup Series Usarprocup.com is the official site of the USARacing Pro Cup Series: Where Real Racing Lives. Find information on races, short tracks, drivers, schedules, news, results, video and sponsors. USAC West Coast 360 Sprint Cars USAC West Coast 360 Sprint Cars Official Website includes series news, schedule, race results, driver profiles, video clips, rules and more. USAC USAC (United States Auto Club) is an open-wheel auto racing sanctioning body for Mopar Midget National Championship, Sprint Car Series, Silver Crown Series and Ford Focus Series. USAC Racing website provides you with latest news, schedules, blogs, general information and live feeds from the track. UMP DIRTcar Racing Official website of UMP DIRTcar Racing covers all divisions with news, schedules, results, downloads and more. SRL Southwest Tour Series Official website for the SRL Southwest Tour series has the latest news, results, schedules and more. Sprint Car & Midget Magazine Sprint Car & Midget Magazine is the world's leading short track open-wheel magazine, featuring the best of sprint car, midget, Silver Crown, micro sprint and mini sprint racing. Southern All Stars Dirt Racing Series The official website of the Southern All Star Dirt Racing Series with series news, rules, points, schedule and more. Snell Memorial Foundation The Snell Memorial Foundation is a not-for-profit organization that, for over fifty years has been dedicated to research, education, testing and development of helmet safety standards. Since its founding in 1957, Snell has been a leader in helmet safety in the United States and around the world. SFI Foundation Official SFI Foundation website. This is the best place on the internet to learn about the SFI Foundation and its role in setting minimum performance standards for the automotive aftermarket and motorsport industries. 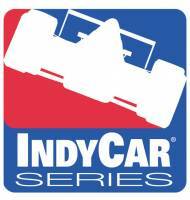 Here you can check out which sanctioning bodies use SFI specs, link to SFI's participating manufacturers, order roll cage specs and much, much more. SCCA - Sports Car Club of America Since 1944, SCCA has championed one mission: To bring motorsports to the masses of American men and women who are passionate about automobiles, speed and competition. RacingWest.com RacingWest.com brings you the latest news and race results on NASCAR K&N Pro Series West, SPEARS SRL Southwest Tour Series, ASA Racing, ASA Truck Series and Local West Coast Tracks. QuarterMidgets.com QuarterMidgets.com brings news, classifieds, club information, results, race schedules and more. Everything you need to know about Quarter Midget racing. NASCAR NASCAR.COM - News, Schedule, Drivers, Tracks, Fantasy & Video from NASCAR. NASCAR.COM is the official site of NASCAR, the National Association for Stock Car Auto Racing. Midwest All Star Sprint Car Series Official website for the Midwest All Star Sprint Car Series with news, results, schedules and more. 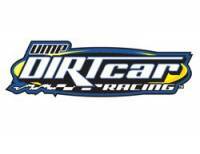 MARS DIRTcar Series Official website of the MARS DIRTcar Series has series news, results, points and more. 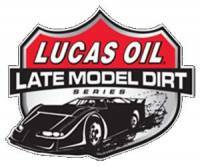 Lucas Oil Late Model Dirt Series Official website of the Lucas Oil Late Model Dirt Series with news, schedules, rules and more. Late Model Racer Magazine Late Model Racer magazine is the only national feature magazine that exclusively covers pavement short track Late Model racing. From your local short tracks to series such as: Hooters Pro Cup, ASALMS, ACT, PASS, CRA Super Series, ARCA, ARCA West, Main Event, UARA, Grand National East and West, and many others, Late Model Racer has the feature stories, information and tech articles you need. IMCA Official website of The International Motor Contest Association (IMCA), organized in 1915, the oldest active automobile racing sanctioning body in the United States. Hoseheads Sprint Car News This is a collection of some of the best writers and photographers in the country all with one purpose in mind SPRINT CARS. Hoseheads.com has every corner of the U.S. covered here so sit back and check out some of the great columns, race results, & photos. Hawkeye Racing News Hawkeye Racing News is a Midwestern-based publication covering everything from Late Models and Modifieds to Sprints and Midgets to Short Track to entry-level divisions. Golden State King of the West Sprint Car Series Official website of the Golden State King of the West Sprint Car Series with news, schedules, standings and more. Flat Out Magazine Flat Out Magazine covers open wheel racing throughout the country. FASTRAK Racing Series Official website for the FASTRAK Racing Series with series news, schedule, points, rules and more. DirtVision.com DirtVision.com is your online broadcast headquarters for everything in the world of professional dirt track auto racing. Dirt Modified Magazine Dirt Modified Magazine covers modified racing throughout the country. Dirt Late Model Magazine Dirt Late Model Magazine is the authority on Dirt Late Model racing. CRA Super Series Official website of the Champion Racing Association (CRA) has the latest news, results, message boards and more for the CRA Super Series for Super Late Models, CRA Sportsman Series, CRA Street Stock Series and CRA F.W.D. Compacts. Circle Track Magazine Circle Track Magazine is The #1 Source For Advanced Racing Technology. California Civil War Sprint Car Series Official website of the California Sprint Car Civil War Series with series news, schedules, results, standings and more. BCRA Official website of the BCRA Bay Cities Racing Association sanctioning Midget auto racing since 1939. Badger Midget Auto Racing Association Official website of the BMARA Badger Midget Auto Racing Association operating within the state of Wisconsin since 1936 has series news, results, schedules, classifieds and more. 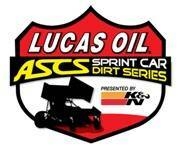 ASCS Official website of the ASCS American Sprint Car Series has series news, results, rules, driver profiles and more. ASA Midwest Tour Official website of the ASA Midwest Tour, The Premier Super Late Model Tour in the Midwest with series news, results, standing, rules and more. 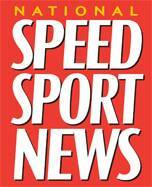 ASA Official website of the ASA American Speed Association with series news, results, standings, fan gear and more. Area Auto Racing News Area Auto Racing News covers the Northeaster United States auto racing scene with timely and outstanding coverage. ARCA Racing Get all the latest ARCA series news, schedules, race results, classifieds and more. All The Dirt Racing News All The Dirt Racing News is The Authority on WISSOTA and The AMSOIL Dirt Track Series. 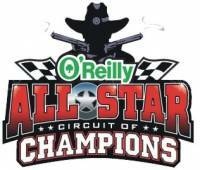 All Star Circuit of Champion Sprint Cars Official website for the All Star Circuit of Champion Sprint Cars with series news, results, schedules, standing and more. ACT Tour Official website for the ACT American-Canadian Tour Championship Stock Car Racing news, results, standings, classifieds and more.